D.Floyd Images Presents: Battle Of The Bridges. 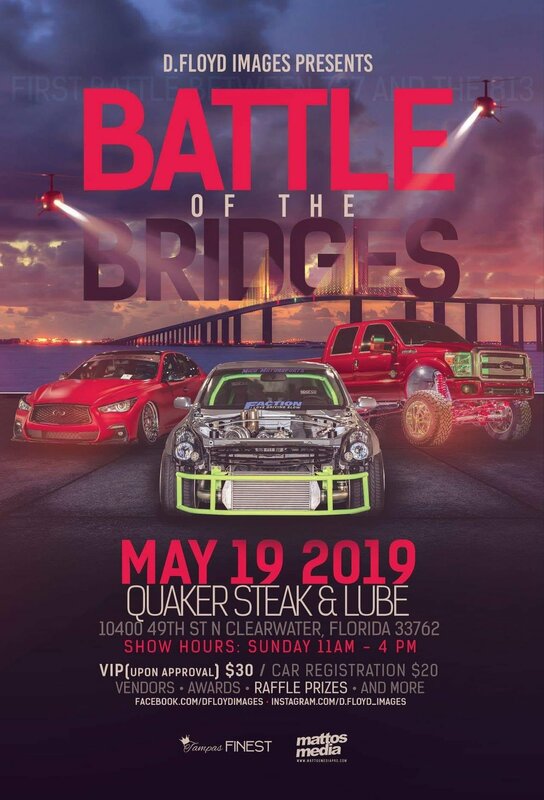 727 vs 813 who can show up with the most cars or trucks! $20 to enter car in show. EMAIL DFLOYDIMAGES@GMAIL.COM FOR VENDOR SPOT. ALL CARS, TRUCKS, AND BIKES WELCOME!